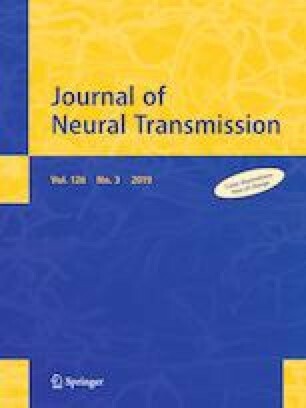 Normal cognition is an established selection criteria for subthalamic (STN) deep brain stimulation (DBS) in Parkinson’s disease (PD), while concern has been raised as to aggravated cognitive decline in PD patients following STN-DBS. The present longterm study investigates cognitive status in all patients (n = 104) suffering from PD, who were treated via continuous bilateral STN-DBS between 1997 and 2006 in a single institution. Preoperative neuropsychological results were available in 79/104 of the patients. Thirty-seven of these patients were additionally assessed after 6.3 ± 2.2 years (range 3.6–10.5 years) postsurgery via neuropsychological and motor test batteries, classifying cognitive conditions according to established criteria. At DBS-surgery patients, available for longterm follow-up (n = 37; mean age 67.6 ± 6.9 years, mean disease duration 11.3 ± 4.1 years), showed no (24.3%; 9/37) or mild preoperative cognitive impairment (MCI, 75.7%; 28/37). Postoperatively (mean disease duration: 17.1 ± 5.1 years), 19% of the patients (7/37) had no cognitive impairment, while 41% of the patients presented with either MCI or dementia (15/37, respectively). Preoperative MCI correlated with conversion to dementia by trend. Overall, STN-DBS-treated patients deteriorated by 1.6/140 points/year in the Mattis dementia rating scale. Disease duration, but not age, at DBS-surgery negatively correlated with postoperative cognitive decline and positively correlated with conversion to dementia. This observational, “real-life” study provides longterm results of cognitive decline in STN-DBS-treated patients with presurgical MCI possibly predicting the conversion to dementia. Although, the present data is lacking a control group of medically treated PD patients, comparison with other studies on cognition and PD do not support a disease-modifying effect of STN-DBS on cognitive domains. We thank our patients for their continued support of our work. DG has received honoraria for speaking from Medtronic, outside the submitted work. AAK is a consultant to Boston Scientific and has received honoraria for speaking from Medtronic, Boston Scientific and Abbott, also grants from Medtronic, all outside the submitted work. GHS has received honoraria for speaking from Medtronic, and Boston Scientific, outside the submitted work. AK has received honoraria for speaking from Medtronic and Abbott, outside the submitted work. LC and UK declare that they have no conflicts of interest.